The wealth in proteins and nucleic acids of beans is an antidote against aging. 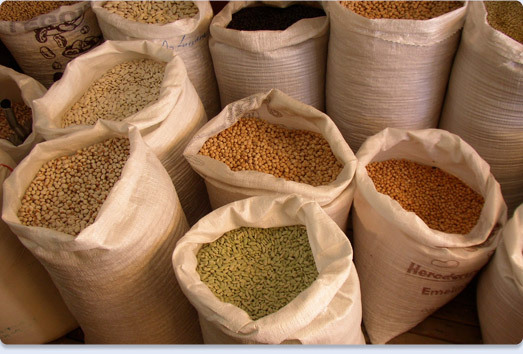 Since they act as a cell renewer in our body, beans are indispensable in a well-balanced diet. We must remember that the vegetable proteins that beans provide us with are free of saturated fat and cholesterol. That is why, beans, when combined correctly with other foods, give us all the protein our body needs to function properly. They are also a source of soluble fiber (which traps cholesterol and other substances) and insoluble fiber (they are filling and a healthy laxative). Our soybeans are NOT genetically altered. 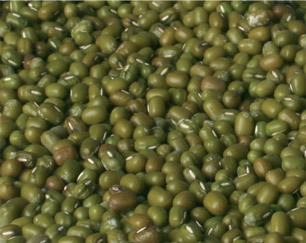 Soy is a legume rich in protein, calcium, magnesium and isoflavones. Isoflavones are similar to estrogens and they relieve menopause symptoms. Genistein also helps lower cholesterol and triglycerides and improves blood circulation, and daidzein helps reduce calcium loss and helps keep the calcium soy contains in our system. Nutritional information per 100 g: Energy 451Kcal/1885Kj, 37 g protein, carbohydrates 24 g, Fat 23 g.
Instructions: Soak for 3 hours and cook for 45 minutes in enough water or broth. 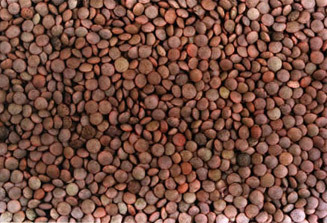 These lentils are a national variety precedent of Tierra de Campos. They are very thin and small and require less cooking time. They do not lose their outer shell when cooked. They are rich in iron. Instructions: No need to soak. Boil for 30 minutes in enough water or broth. 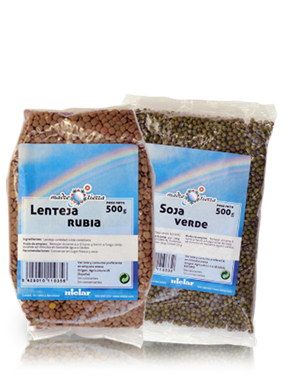 National Lentil variety also called Castilian blonde lentil or Castilian lentil. It is the most popular in Spanish cuisine. 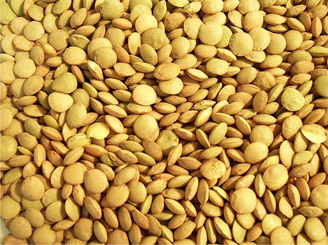 Legume primarily rich in iron. Instructions: Soak for 3 hours and boil for 45 minutes in enough water or broth.